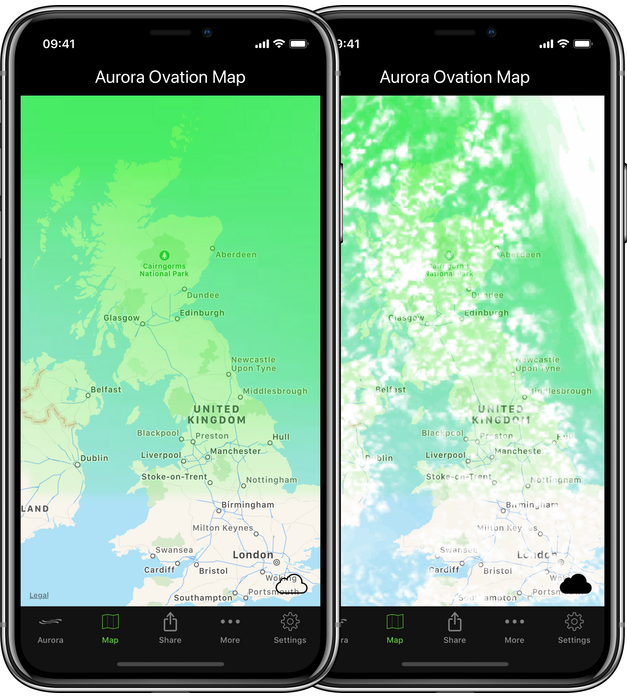 AuroraWatch UK is a free service offering alerts when the aurora might be visible from the UK. The aurora borealis (or northern lights) is a spectacular natural phenomenon which can occasionally be seen in the night sky over Britain. Once seen, it is never forgotten. 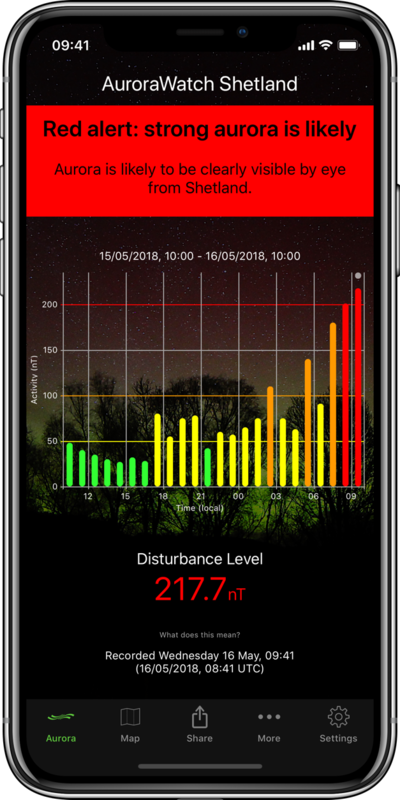 Realtime alerts direct to your iPhone or iPad when sighting is likely. 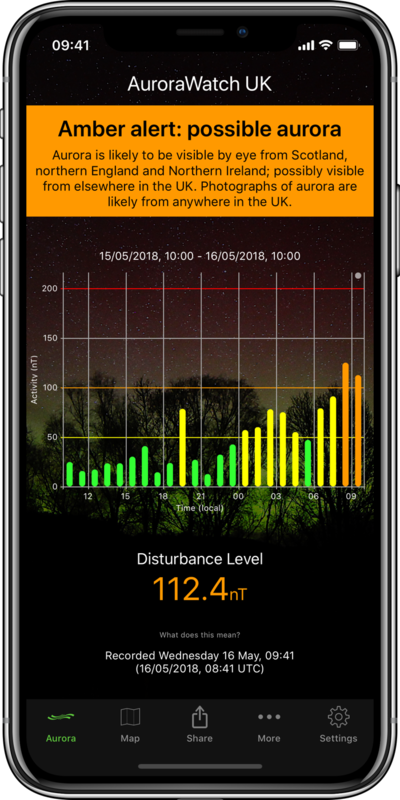 Monitor the UK’s geomagnetic activity in real-time. See how likely it is that you may see the Aurora. 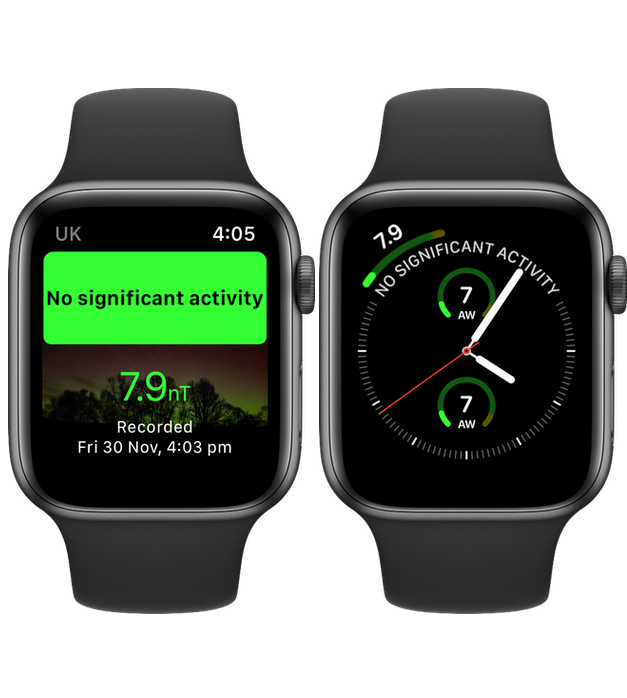 View AuroraWatch status on your watch face. 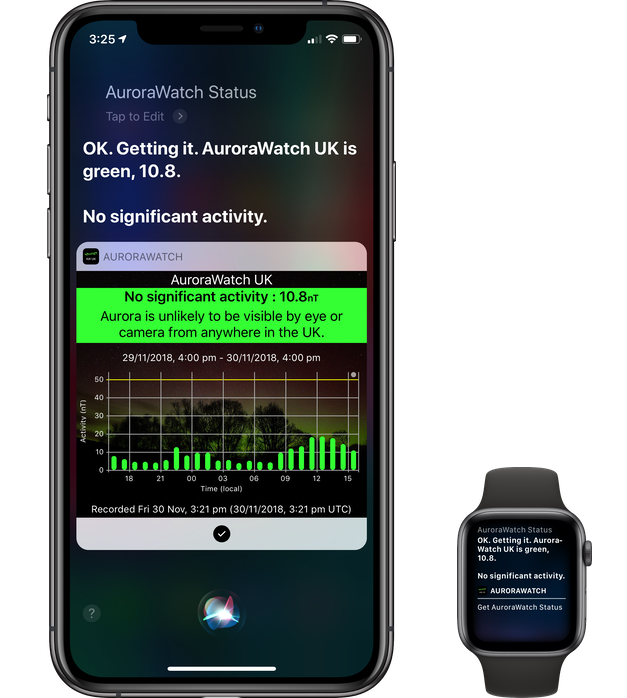 Siri can get the latest AuroraWatch status. Have Siri read the latest status. Designed for iPhone 5s and newer. 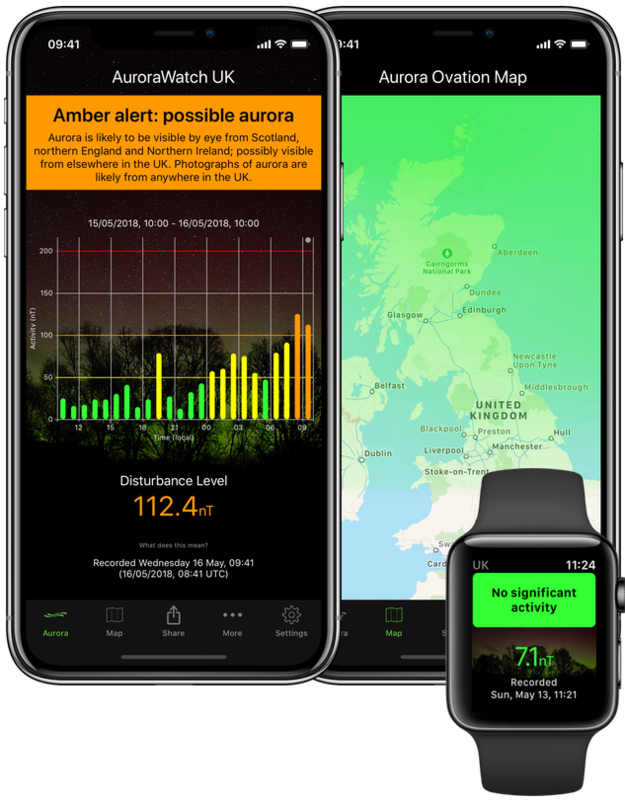 at Progress Concepts Ltd and uses the official AuroraWatch UK API to provide you with instant aurora alerts. 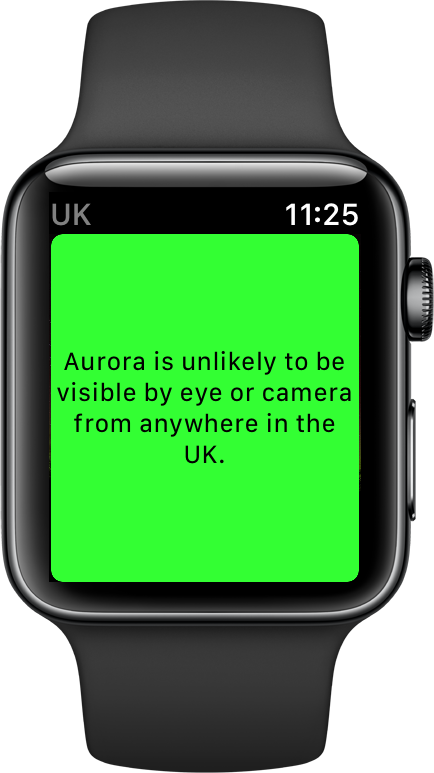 AuroraWatch UK is a service run by scientists in the Space and Planetary Physics group at Lancaster University’s Department of Physics. Check out other apps from Progress Concepts here. 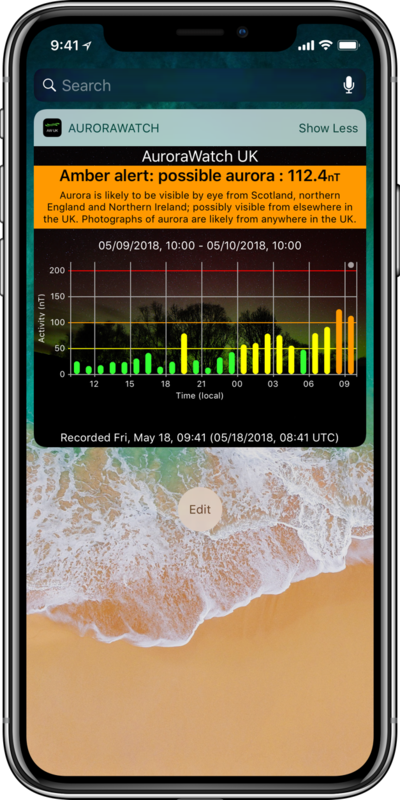 An Android version of AuroraWatch UK written by John Paul Jones is available.